Unicorns have even infiltrated the gaming world, with the smash hit Robot Unicorn Attack by Adult Swim for the iPhone. 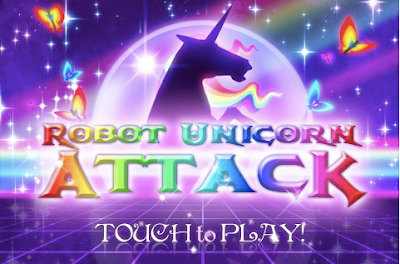 Players navigate their unicorn through a rainbow sparkle universe to burst through stars with their rainbow power. Set to the tune of Erasure's 'Always'. It seriously doesn't get more personally related to my life than this. random crap from my phone. the past week of my life. Online shopping is the DEVIL.